Today is National Oatmeal Cookie Day. Luckily, there are so many great gluten-free oatmeal cookie recipes! Here are just a few of them. There are Pete and Kelli’s (No Gluten, No Problem) classic Oatmeal Raisin Cookies. There are my (Gluten Free Easily) Flourless Oatmeal Cookies. 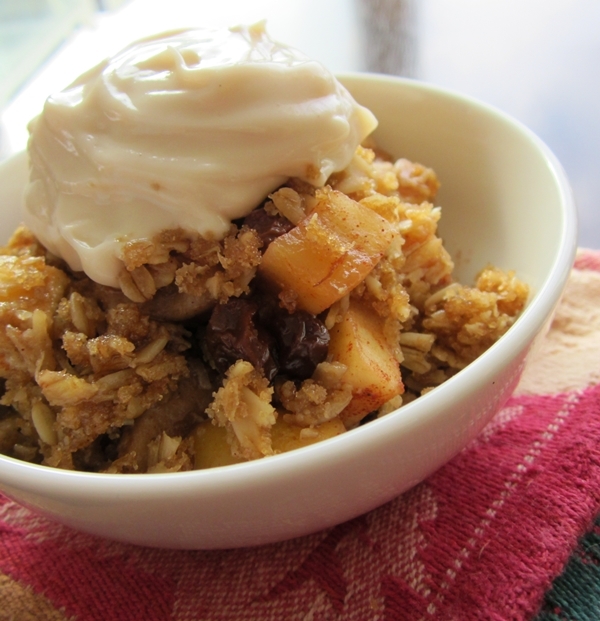 And then there’s this Oatmeal Cookie twist on Apple Crisp … Alisa’s (Go Dairy Free) Oatmeal Cookie Apple Crisp. 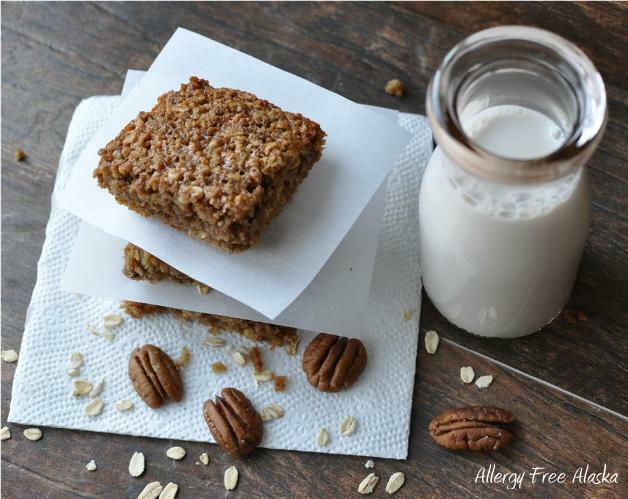 How about these “Grab and Go” Oatmeal Breakfast Bars from Megan at Allergy-Free Alaska? 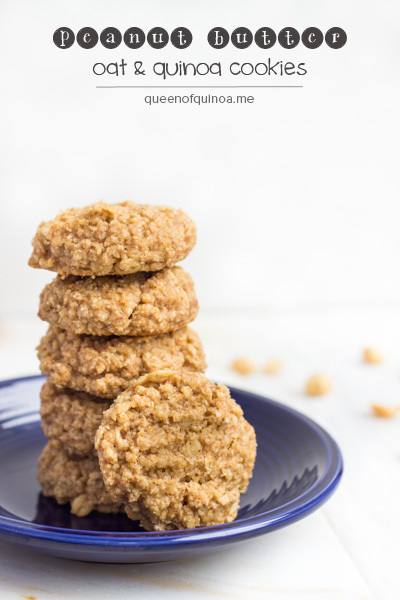 And check out these Peanut Butter Oat and Quinoa Cookies from Alyssa over at Simply Quinoa. All you oatmeal cookie lovers, enjoy! 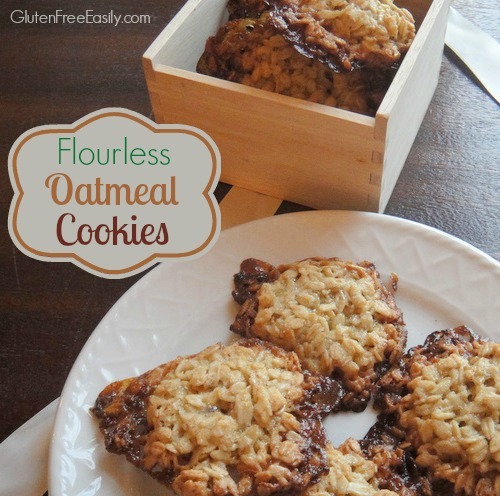 I love oatmeal baked goodies and clicked over to see the amazingness. Can’t believe you included my recipe, thanks Shirley! Already love your GF oat cookies. Is there anything I could use instead of oats as I can’t eat them even GF ones. Hi Rosemary–Welcome! 🙂 Have you tried quinoa flakes? They often work as a substitute for oats. They have a little stronger flavor, but I’ve subbed them for oats a number of times and been pleased with the results. You might give them a try and see what you think. You could try them in a recipe that normally uses oats that you’re familiar with first to see if enjoy them. My Almond Chocolate Double Coconut No-Bake Cookies would be a good option. Usually these cookies are made with peanut butter and oats so you could try the recipe using peanut butter if you preferred. There are also paleo bloggers who have created “Oatmeal” Cookies without oats. 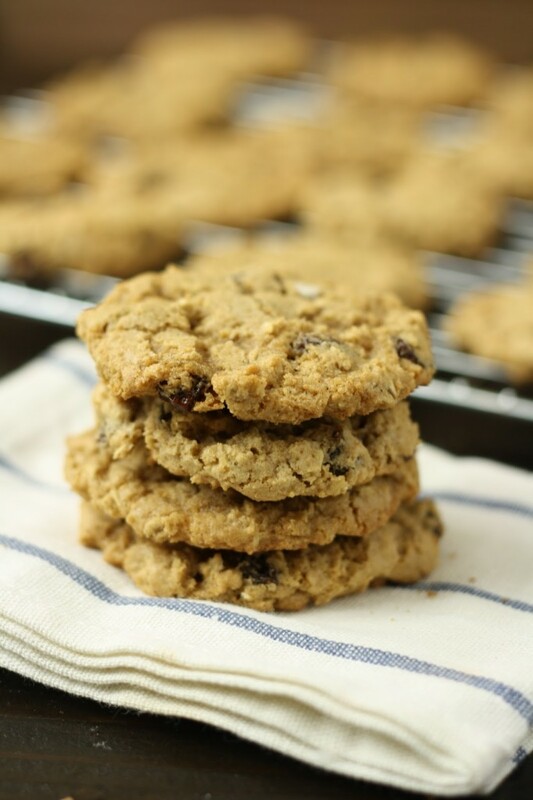 Here’s such a recipe, Grain-Free “Oatmeal” Raisin Cookies, from Danielle of Against All Grain. Hope that helps!